A one stop restaurant for Japanese food down at the bay, Glenelg. 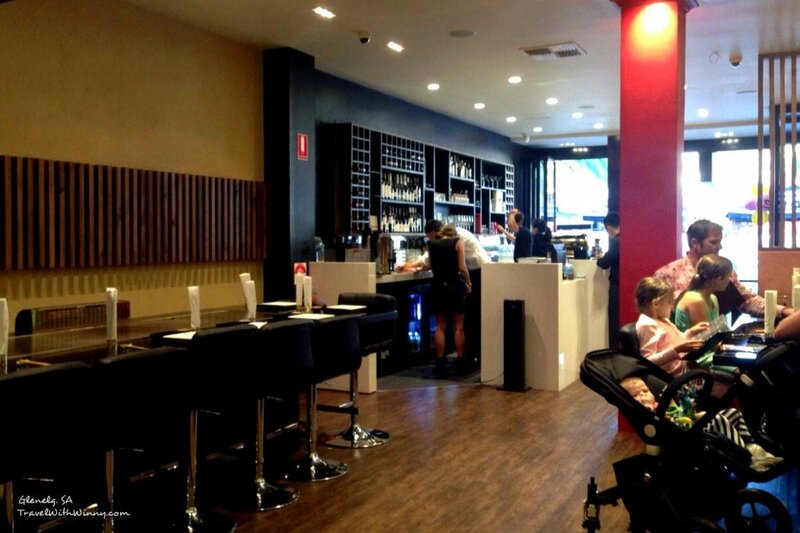 It has sushi train, sit down area and Teppanyaki tables. 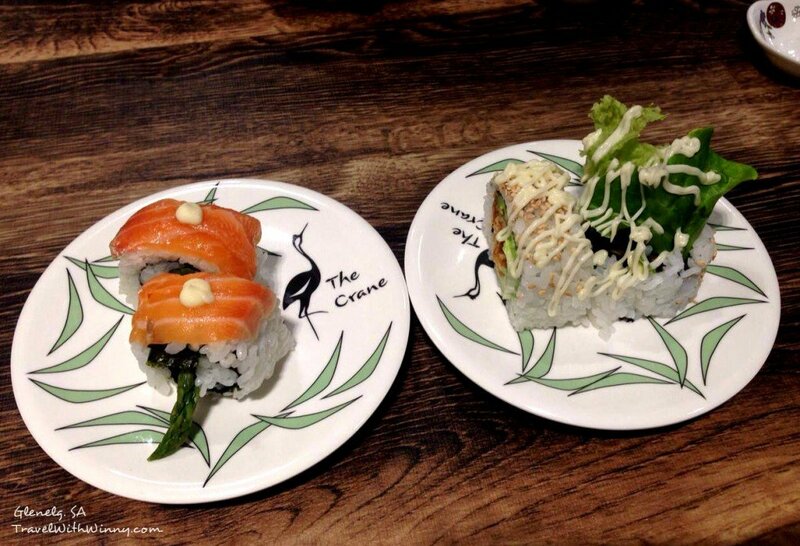 Crane Japanese restaurant is a restaurant that newly opened at Glenelg beach. It is located at the Moseley Square where is usually the most populated around Glenelg. The inside looks very modern with a good layout. 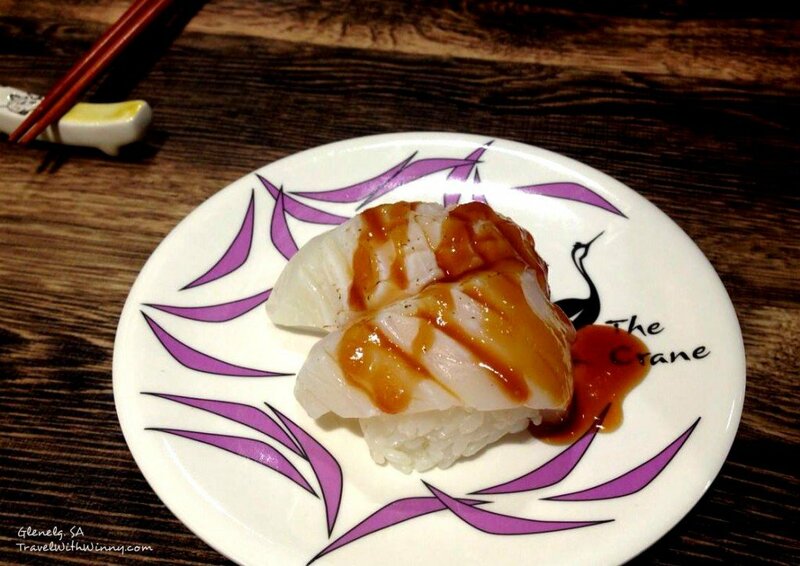 This restaurant is made to be a one stop shop for Japanese food. 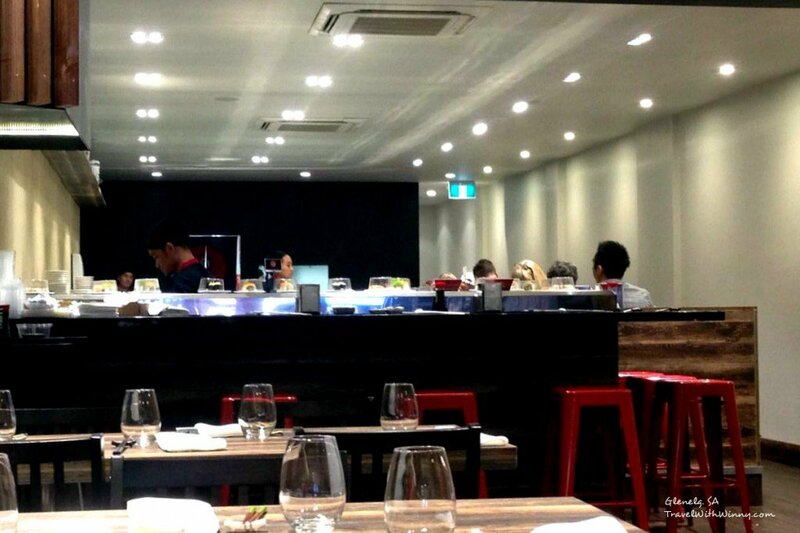 They have the sushi train at the back, sit down dining area in the middle and Teppanyaki area at the front. Although there were a few Asians in the restaurant, the place mainly draws in Caucasian crowd. I’m trying to not sound too stereotypical but Glenelg is not known to be a very Asian place. Luckily, more Caucasian is accepting of good traditional Japanese food and I am pleased to see that a restaurant like this can open up in Glenelg Moseley Square. When we were greeted at the door, we were asked where would we like to sit; shushi train, Teppanyaki or a sit down at the table. Since it was out first time at the restaurant, it was a little confusing. Being a person who wants to try everything nice at a restaurant, this was a tough decision. We decided to have a sit down on the table first to look at all the menus before we decide. In the end we thought that the best way to test this restaurant was to order from the table. Winny and I both had very good experiences with Teppanyaki overseas and mostly bad experiences with Teppanyaki in Australia and we were not very keen to try it out at this place. From our Table we could see the Teppanyaki chefs performing their fire burning shows on their hot plates with the food. It would be quite a novelty for many Caucasian people especially the children and we could see that families with children was mainly their clientele on the Teppanyaki table. The sushi train on the other hand looked a little empty. I guess most people wouldn’t come down to the bay just to have sushi train. We had a thorough look through their menu. They do look quite tasty with meat or fish flavoured in teriyaki sauce or miso sauce and a few dishes with fried noodles or rice. However I believe that this menu is tailored more for Caucasian Australian people and doesn’t look very appealing to us. We decided to order from their sushi menu. We originally wanted to order their sushi platter but after questioning the waiter about what is on the platter and how many sushi does it come with, even the waiter doesn’t think it was a good deal. We worked out that it would be better if we just order the sushi individually from the sushi menu. Better value and we could select what we want. We started our meal with some hand rolls. Winny ordered a tuna one and I had a salmon one. These tasted quite fresh but nothing too special. Mainly rice, fresh fish wrapped in seaweed. We were not too fussed as we do like fresh produce and the fish were fresh. we also had a eel hand roll to share. 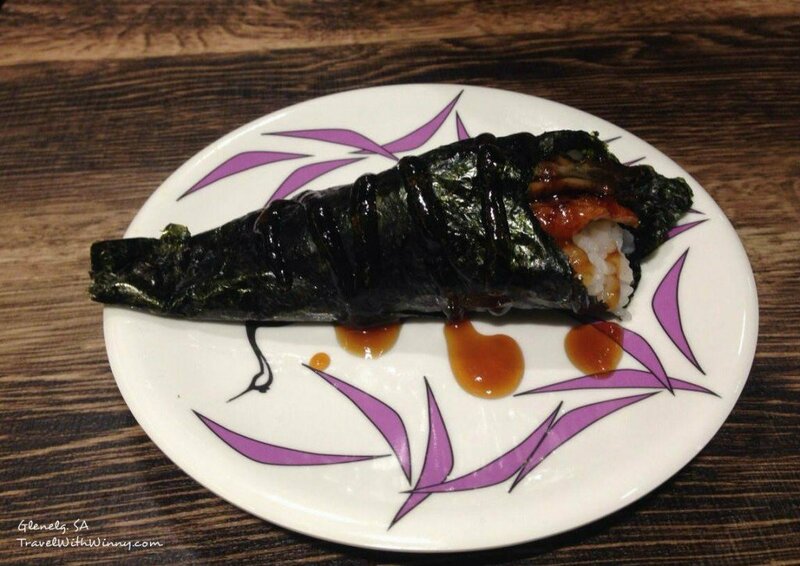 This one tasted really sweet and the hand roll was drizzled with the Teriyaki sweet sauce. 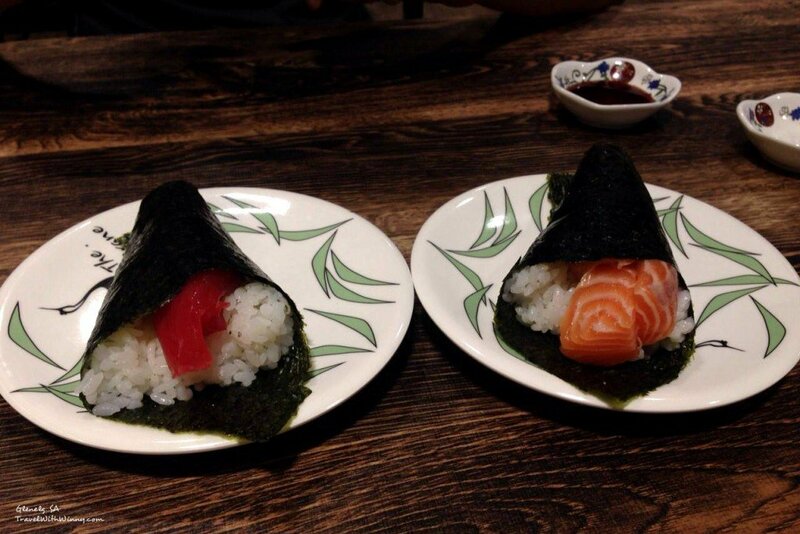 The “hand roll” wasn’t very hand friendly and we ate this roll with our chop sticks. Winny loved the Tobiko ship also known as the sushi with the flying fish red eggs and is a must order when we visit a sushi place. This one did taste nice but was a little smaller than other Japanese restaurants we’ve been to. 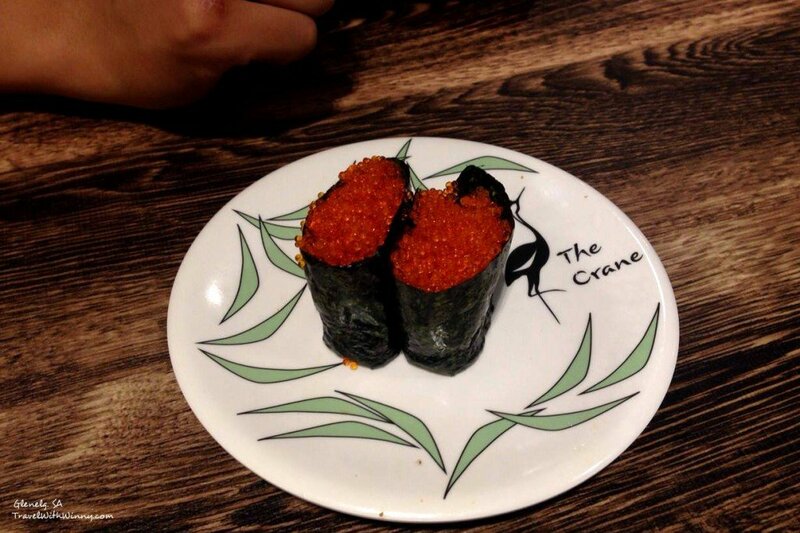 We also wanted to try the Ikura ship which is the salmon egg sushi. However they didn’t have any in stock. 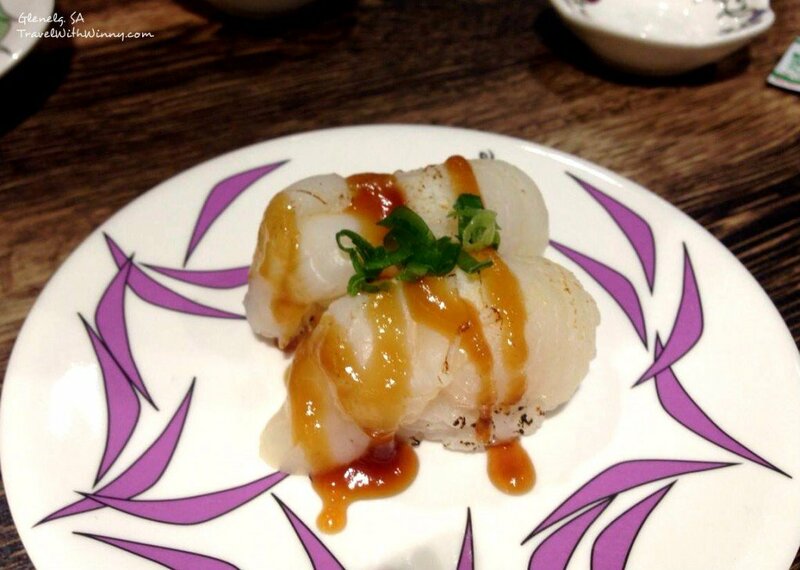 We also tried a few of their Aburi style sushi. we had the scallop and squid. Both of them tasted fresh but they were once again slightly smaller and has that sickening sweet Teriyaki sauce. We finished off with some Takoyaki (octopus balls) which was nice but still think the sauce and the quality is a little less tasty as other Japanese restaurants in Adelaide. 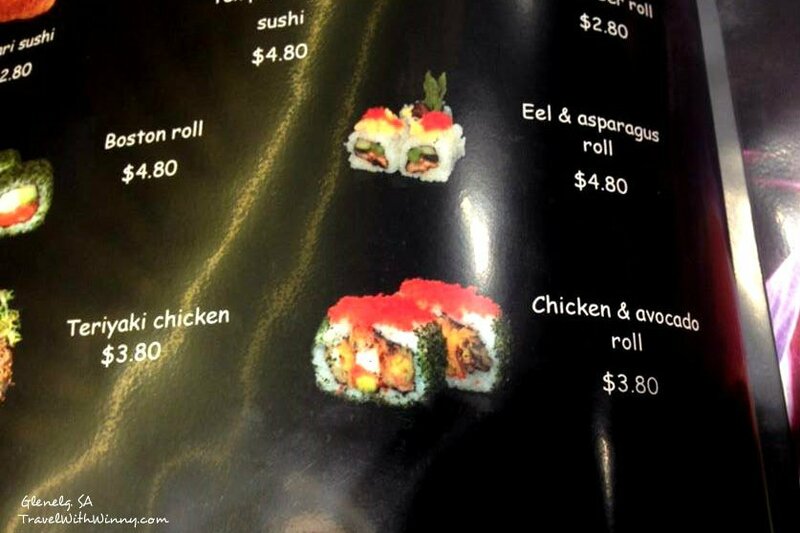 Our chicken & avocado roll looked nothing like the picture. In fact many sushi we ended up getting doesn’t look like the menu at all. Overall I didn’t enjoy the sushi very much. They were up to standard but I know a few places that would do better sushi for the same value. We might be back to try out their Teppanyaki on another day.